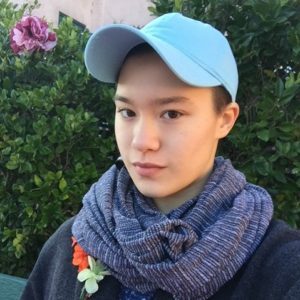 Maj is a senior at George Washington High School in San Francisco and a future graphic design major. Born and raised in San Francisco, they are proud to represent the city in their action. They first became involved in activism through their high school’s GSA and GSAN’s Activist Camp. 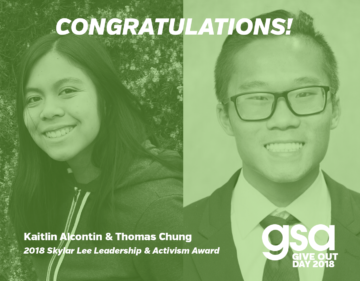 Today, they are the president of their high school’s GSA, a member of GSAN’s Youth Council, and a member of SFUSD’s Student Health Advisory Board. They prioritize advocacy for especially LGBT Asian people, solidarity between marginalized groups, and the power of the working class. They have worked for California Lawyers for the Arts’ program, Spotlight on the Arts, as a design & communications intern for The Imagine Bus Project and Root Division, two Bay Area nonprofits that stand for youth arts education. They unwind relaxing by the San Francisco Bay or replaying their favorite video games such as The Witcher 3.